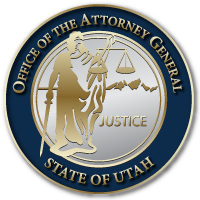 SUMMIT COUNTY, Utah – The Utah Attorney General’s Office (AGO) today filed charges against a former Summit County Attorney’s Office victim advocate for misusing public money, a second degree felony. The charges focus on a misappropriation of donations made to the Summit County Victim Assistance Program. Marsha Lynn Probst was a victim advocate in the Summit County Attorney’s Office from June 2006 to October 2017. During her employment, Probst would regularly receive donations on behalf of the county’s Victim Assistance Program from Wasatch Womenade, a non-profit based in Park City, Utah. An investigation by the AGO discovered that the defendant established an account at a local credit union using funds from donations made to Summit County, unbeknownst to other Summit County employees. The charges allege the funds collected were used for personal purchases and expenditures. The total amount of misappropriated donation funds is in excess of $5,000. If convicted, the charge carries a maximum penalty of one to fifteen years in prison and a fine up to $10,000.00. Charging documents signify the commencement of a criminal case. Any person accused of committing a crime should be presumed innocent until proven guilty in a court of law. You can find a copy of the charges filed here: https://attorneygeneral.utah.gov/wp-content/uploads/2018/06/Documents.pdf. This entry was posted in Archived Posts, Recent Posts and last updated on July 3, 2018 .